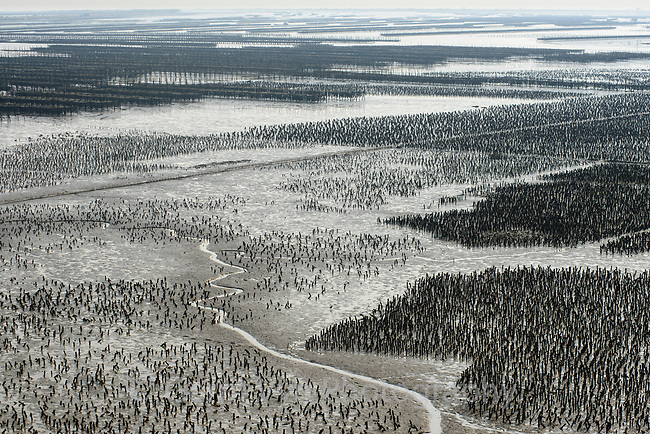 Massive aquaculture activity has consumed vast areas of intertidal mudlfats making them unavaialble to most shorebird species. Huguangzhen, China. March.